Writing essays is a big part of the college experience–and for students who want help mastering this project, Grade Potential provides college essay tutors who know all the ins and outs of quality writing. Through one-on-one tutoring on your timetable, we provide college essay tutoring that empowers students to write clearly and efficiently. Grade Potential provides college essay tutoring catered to students. We offer sessions on your timetable and your location. 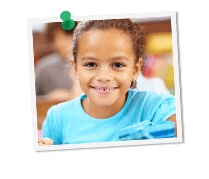 We match tutors with students based on specific personalities and learning styles. With our help, we help you (or your child) improve academic results! With a college essay tutor from Grade Potential, you gain a partner who’s as committed as you are towards your academic goals. We help you improve essay-writing skills in order to boost grades and academic results. What’s more, Grade Potential has tutors in every college subject and course, so we can continue supporting you throughout your higher education—even into grad school!